Washington, D.C.– Recent advances in our understanding of the quantities, movements, forms and origin of carbon in Earth are summarized in a just-published report. The research represents face-paced progress on the depths of the biosphere, Earth, what erupts from volcanoes and leaks from sea floors, what descends back into Earth’s great depths, and the nature of carbon-bearing materials within planets. The Carnegie Institution for Science is the institutional home of the DCO Secretariat. Carnegie’s Robert Hazen and Russell Hemley are the executive and co-executive directors of this ambitious, transdisciplinary, 10-year effort. The group issued a midterm scientific report at the AGU today entitled, Carbon in Earth: Quantities, Movements, Forms and Origins now available online and in print. The research has been conducted by an international team under the auspices of the Deep Carbon Observatory. 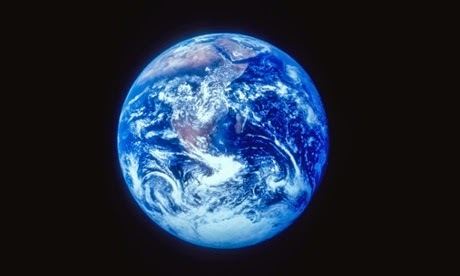 The carbon in the atmosphere, ocean, on the surface, life, and other shallow, near surface reservoirs accounts for only about 10% of Earth’s carbon. The mysterious 90% is what the Deep Carbon Observatory is exploring. The unique, 10-year program began in 2009 to explore, experiment, and build a new scientific field with a network of scientists from more than 40 countries. The Alfred P. Sloan Foundation awarded Carnegie the initial grant to fund the Deep Carbon Observatory at the institution’s Geophysical Laboratory. Other funders include scientific organizations, institutions, and academies around the world. DCO scientists will also present more than 100 talks and posters at the American Geophysical Union meeting in progress beginning today in San Francisco.